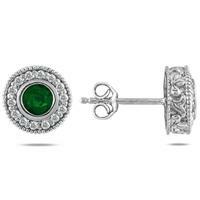 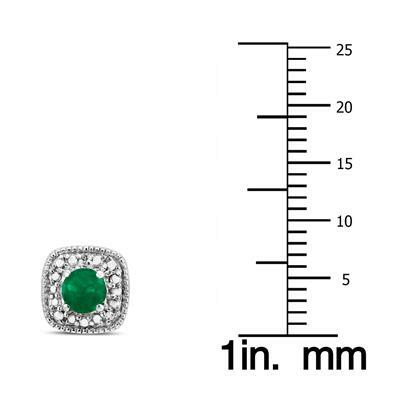 A beautiful pair of all natural, genuine emerald gemstones are set with 2 sparkling genuine diamonds on engraved antique styled settings crafted in solid .925 sterling silver. 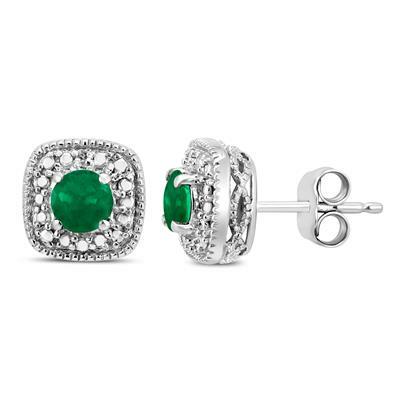 Top of the line detail, workmanship and finishing combine to create a wonderful pair of precious gemstone and diamond earrings on beautifully crafted settings. 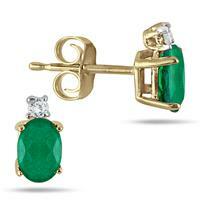 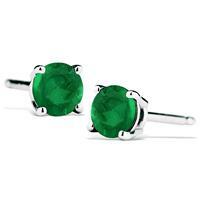 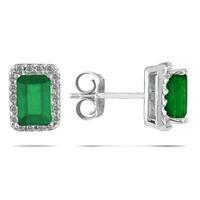 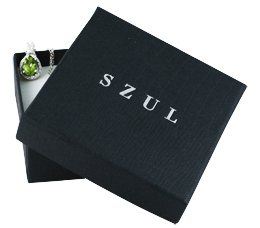 A great pair of earrings perfect for everyday and formal wear.